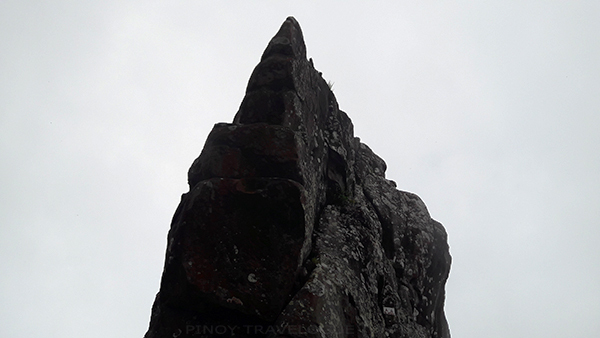 If not the fancy resort, the lone pillar of stone towering on a mountain top is the first thought in mind when someone speaks of Pico de Loro. But the famous tower alone is just an understatement of the mountain's undeniable charm. At the crest awaits hikers a scenic reward — the panoramic view of rolling mountains, chunks of a highway apparently connected to the shore of a cove, the nearby islands, and the iconic monolith that's no doubt enchanting. 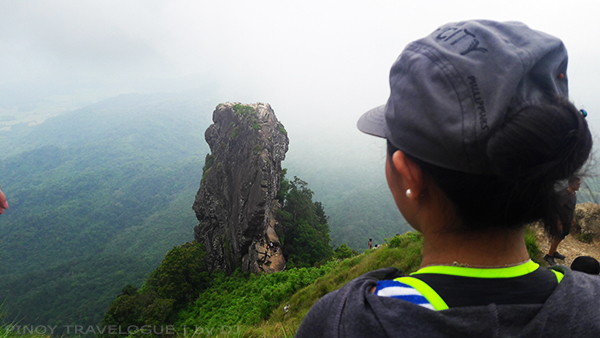 The peak gets bursting of day hikers by noon, I learned it from my first hiking experience. Striving to have the summit to ourselves once we get there, we left our homes early; too early that albeit the buses' inaccessibility at three in the morning lengthen our travel time, we still managed to arrive at six. Ternate-bound buses stationed in Coastal Mall in Paranaque City ply the route straight to Ternate bus terminal where tricycles readily available upon getting off takes hikers for less than an hour of uphill ride going to the jump-off site in DENR Ternate. 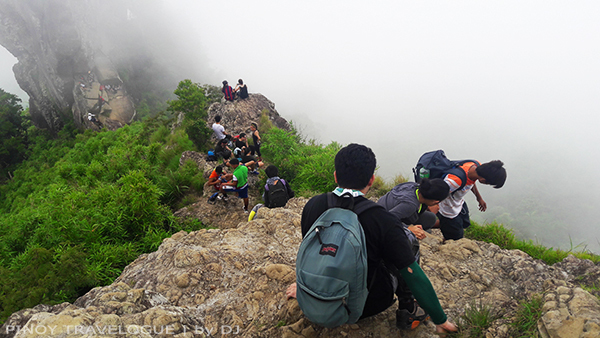 Stories from a handful of climbing enthusiasts suggest that hikers used to take the now-defunct "old" trail before the environment department officially closed it down in February 2015, making the so-called "new" trail as the only path in use which originates in DENR itself. 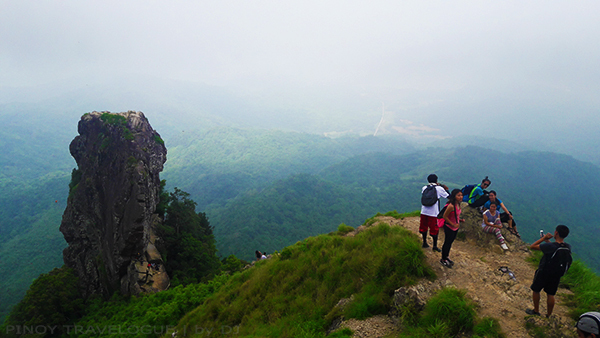 Pico de Loro's pleasant trail is ideal for first-time climbers, perfect for them to elicit their love for the mountains. 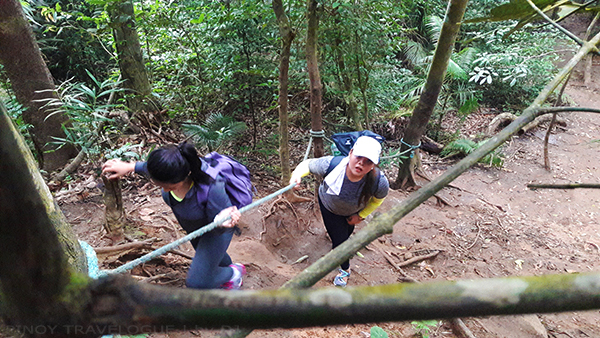 It was relatively an easy climb, such that braving the jungle through an established trail doesn't need a guide. 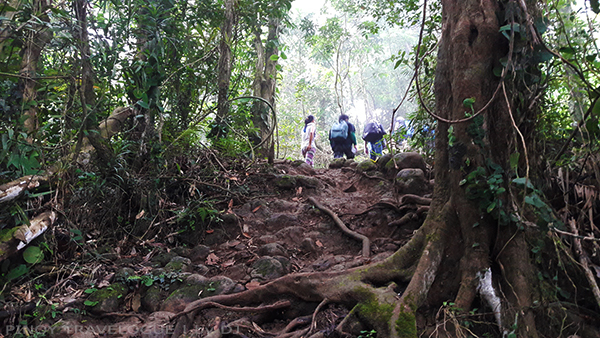 But putting some purpose on the trip as well as making sure of our safety, we hired a trail guide who assisted us in hiking and carrying the ladies' backpacks from Ternate jump-off and back down. It was half past six when we entered the forest. 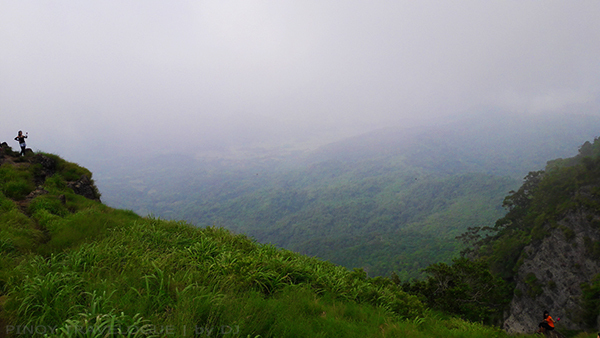 It did not rain days before the hike according to Kuya Joel (the guide) yet the trail all throughout was damp. Morning mist apparently made the beaten track a bit muddy and slippery. Minutes after hitting the trail, we run into a trunk apparently marked using a white latex paint; it bears a number "1" mark. Nine spots along the path starting from the trail head up to some meters away from the summit contain trees stamped with numbers "1" through "9". These noticeable imprints were apparently used to help hikers gauge how near they were yet from the summit. For us though, it served as an area to catch our breath. 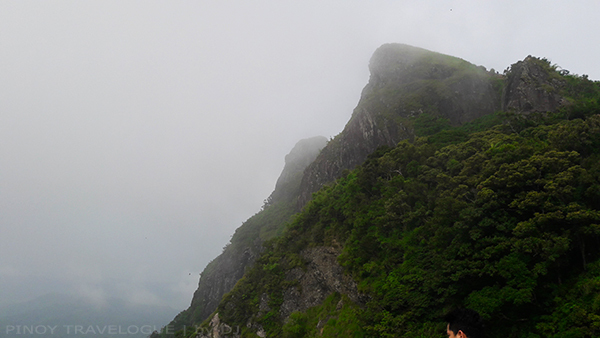 After an hour of trekking, we came to a roofed metal structure that served as a platform for selfie shutterbugs. It houses some unassuming boxes said to contain equipment that picks up radio signals. 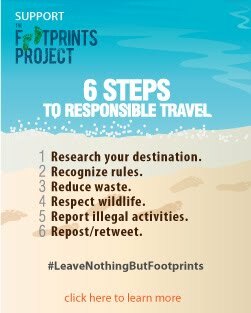 Its purpose is to enable anyone on the forest to inform the management at the jump-off, through radio devices (of course), should there be any untoward incident and send some help in return. From Kuya Joel's recount, he was one of those who helped in putting up the radio kiosk. A job that certainly deserves some gratitude. 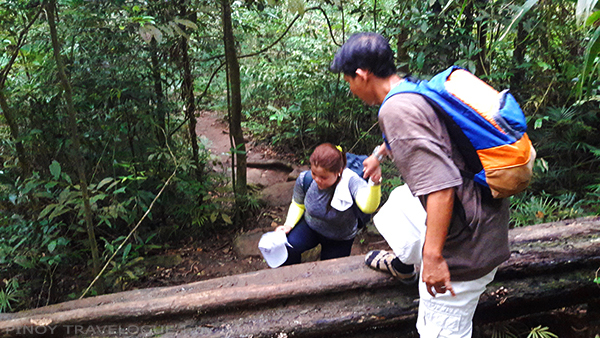 I couldn't imagine how difficult it was to scale the steep and bushy trail whle carrying an added bulk. Moving forward and a glimpse of her peak and a tiny portion of the monolith show themselves. 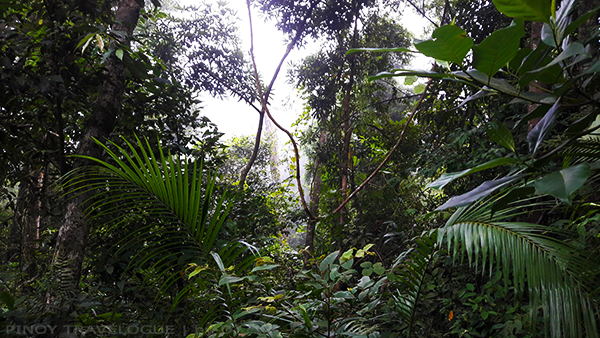 The mountain's insular and Romance-sounding name means Parrot's Peak when translated. Legend has it that Spaniards sailing on Manila Bay aboard a fleet of galleons from centuries ago coined the name pico de loro because of the mountain's resemblance to the bird that can imitate human speech. 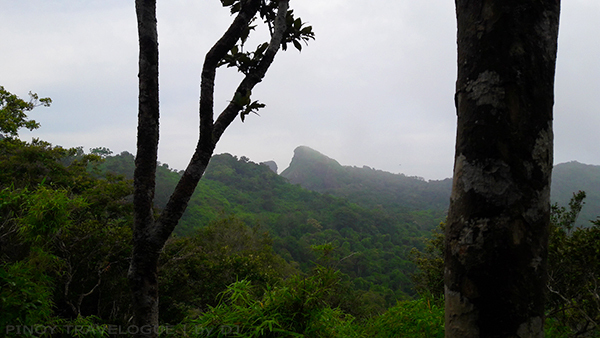 Recognizable from our view-point, a bird's beak figure is as captivating as the mountain's given name. 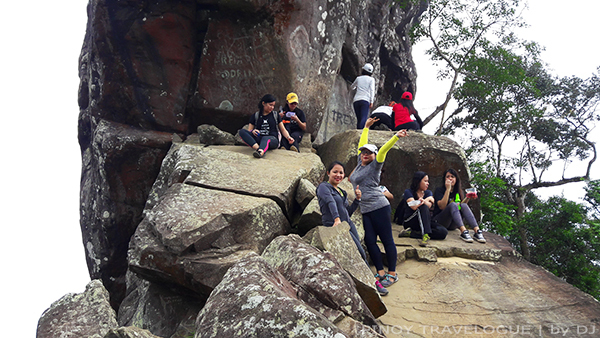 Three hours of heartbeat-raising trek, pulling ourselves through slim yet sturdy branches, and some pit stops at shaded spaces with protruding large rocks or makeshift bamboo benches to sit on, we arrived at the summit campsite. The station offers quick cook goodies to snack on, an array of thirst quenching refreshments, and a spot to take a respite — some hikers even took a nap on a hut before their summit assault. But for my buddy who has deep-seated fondness for the mountains, sitting along a ridge and marveling upon the enticing vista of rolling mountains and cliffs were more than enough to keep his fatigue away — especially, if it's complemented with a platter of Lucky Me! Pancit Canton topped with hard-boiled egg, and an oozing cup of halo-halo. I just have to add that up, haha! The peak viewed from the campsite. 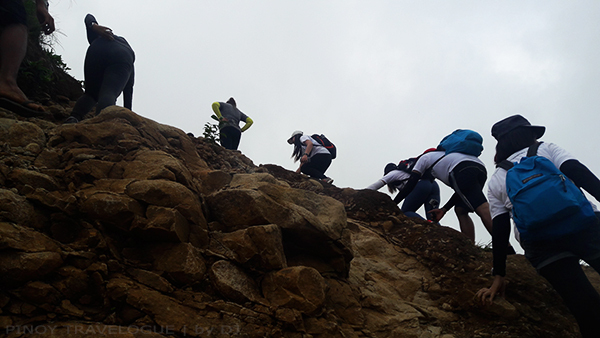 Ten minutes more of strenuous trekking and crawling along the rocky summit ridge finally brought us to the tip of the beak. The prominent monolith dawned upon us; thick fogs intermittently kept it away from our sights. 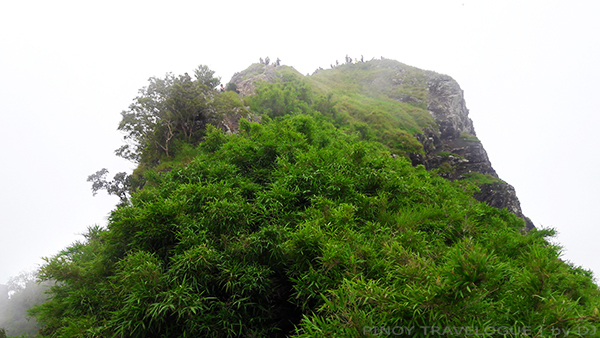 Turning our heads on the other side gave a breathtaking view of the lush vegetation and the nearby waters and islands. The kind of scenery that would make any spectator utter, "ain't no mountain high enough". Staying some time on top might not be favorable for people with acrophobia. My wife who has an extreme fear of high places attested to it when she found it hard to even stand for seconds. 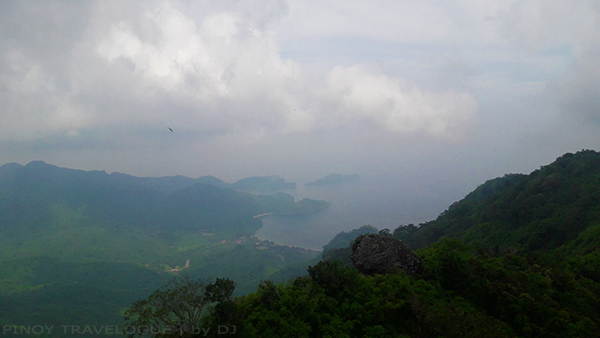 Pico de Loro's bare summit was free of any view-distracting bushes or boulders of some sort, unlike that of Mt. Daraitan. Treading along the edge of a hundred-foot high cliff would give anyone that "sudden urge to jump", yet reaching the monolith requires confronting the unnerving ridge. 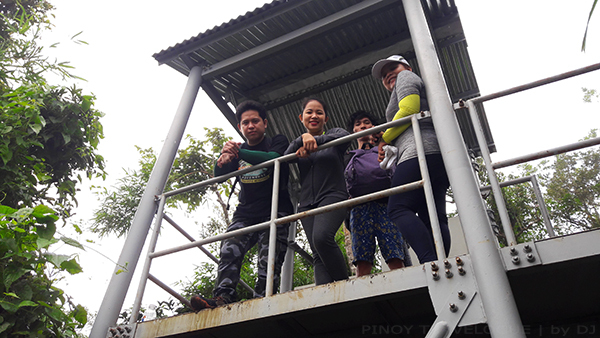 For the time being, DENR prohibits climbing up the tower that never failed to lure thrill seekers due to the vanishing greenery at its base; hence, we contented ourselves with just gazing from its foot. Iceberg-like tip of the monolith seen from its foot. The peak viewed from the foot of the monolith. 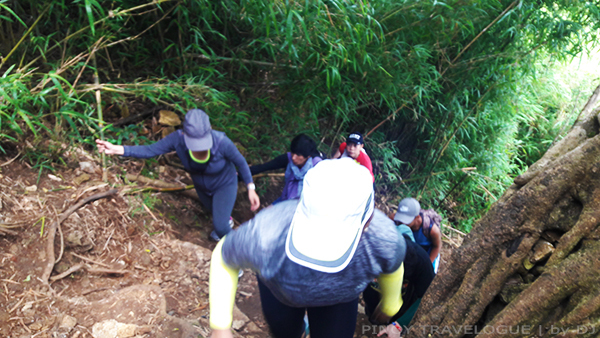 Going back down, we opted the traverse trail to Nasugbu, Batangas which would pass by a part of the "old" trail. 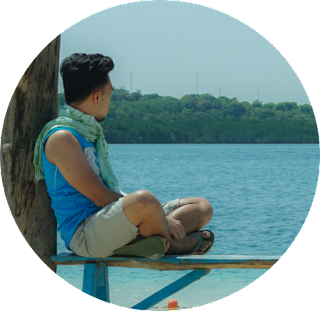 It required us to get another trail guide, Ariel, a younger yet as helpful but more amicable than our first. 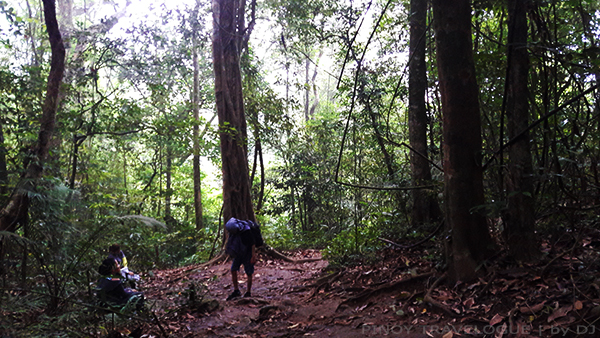 Apart from assisting us in trekking down, he brought us to the nearby Kawa Falls for a refreshing side trip.